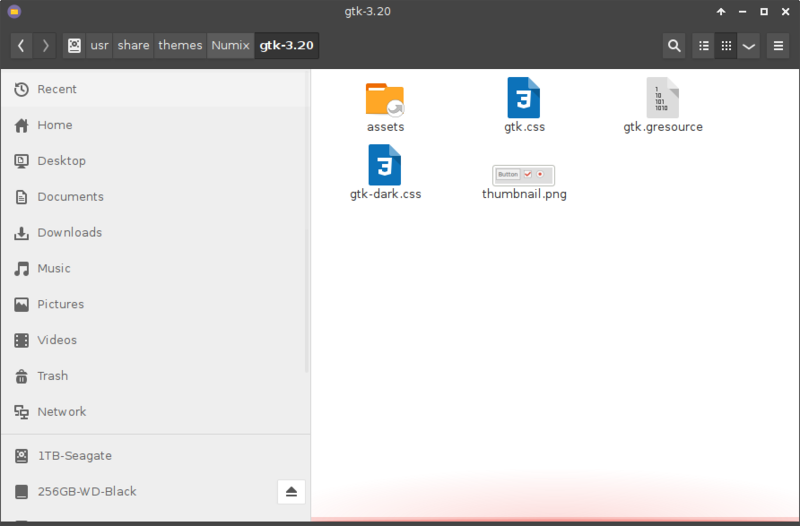 I was messing around with gtk and somehow my Numix theme window borders became uneven. I had this problem before but have no idea how I fixed it. I have a laptop with the exact same configurations and the exact same problems. is what I'm talking about. The bottom border is larger on most of the applications. Some applications like gedit have even border widths. Is there any way to extract the document? Have you tried temporarily switching to another theme, uninstalling Numix (or whatever package it is in, if it is not by itself), reinstalling it, then switching back to that theme?